Trouble follows bounty hunter Frank Vito wherever he goes. But when he arrives in Lynchburg, Virginia, in the spring of 1885, what he discovers there is far worse than he expected. His partner, who sent for him, has been murdered while in pursuitÂ of a dangerous bounty. And the killer isn't done yet. Vito is fighting against time, the townspeople of Lynchburg, and a sheriff seemingly determined to cover up every detail about the crime. However, he must follow the trail his dead partner left behind, and uncover the truth lurking in the shadows of this small town. Then he meets Ellie, a fiery woman in search of the storied Beale Treasure, and everything changes. 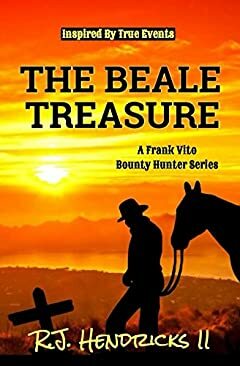 Inspired by true events, The Beale Treasure: A Frank Vito Bounty Hunter Series, is a gun-blasting Western, full of grit and spirit, that will keep your heart racing right up until the stunning conclusion.